If you like this free game, try Fishdom: Spooky Splash. Unravel this creepy-crawly match-3 adventure and unveil haunted castles that will leave your spine tingling! Explore vast levels at your own pace with one of three modes to fit your play style, and buy upgrades from the sinister shop to aid you in your travels. 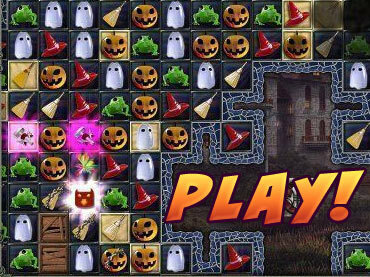 Play mini-games including hidden object and mahjong to earn bonus money and unlock spooky decorations for each eerie scene! If you have questions about Jewel Match Twilight game, please contact us using this form.